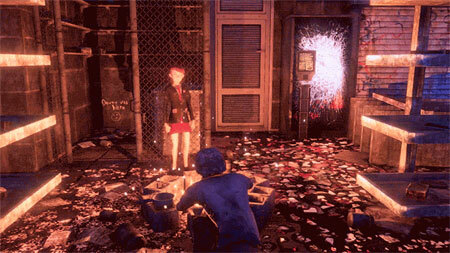 Orphan Age is a dystopian life sim game by Studio Black Flag. You play not as the soldiers of war, but as the children left behind. Set against the backdrop of an unforgiving, neon-lit cyberpunk warzone, your only battle is the fight for survival, scraping out a living in the face of extreme danger as war engulfs the world around you. Sitting somewhere between The Sims and This War of Mine, you will guide a band of orphans, each with their own skills, emotions, strengths, weaknesses, and fears through a bitter struggle for survival in a dangerous and ever-changing city. Constantly balancing risk and reward, you must make the big decisions to ensure the group stays alive. Build up your base, scavenge, craft and venture out into the city for new recruits, whilst ensuring there are enough supplies to keep going, even when all hope seems lost. If you get stuck in the game, check out the video walkthrough and gameplay for the game. This entry was posted in PC Games, Walkthrough and tagged Orphan Age Cheats, Orphan Age Game, Orphan Age Gameplay, Orphan Age Guide, Orphan Age Hints, Orphan Age Review, Orphan Age Solutions, Orphan Age Strategy, Orphan Age Tips, Orphan Age Walkthrough by Marvin. Bookmark the permalink.